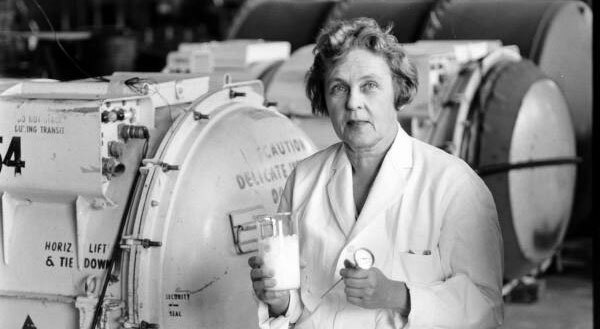 From bulletproof vests to dishwashers, from computer software to ice-cream makers, women over the centuries have achieved excellence in every field in spite of receiving little acclaim for it. 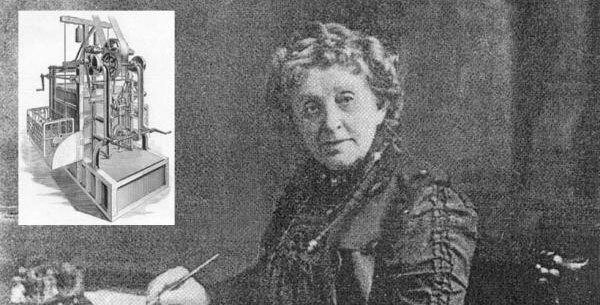 Here are 12 names of famous women inventors whose ingenious inventions surpassed their time and expected abilities. Owing to her religious affiliation with the Shaker community that observed a simple life, Tabitha Babbitt never applied for a patent for her inventions. Nevertheless, men have her to thank for inventing the circular saw, machine-cut nails and refining other tools that are commonly used today. Her idea was inspired by observing men in her community who used a pit saw to cut wood in which the back hand stroke was useless and wasted energy. Hence, Babbitt created the prototype for the circular saw that went on to be a key item in saw mills. Since Babbitt worked as a weaver, she took a circular blade and attached it to her spinning wheel to produce the circular motion. Patented in 1887, Josephine Cochrane invented the first commercially successful dishwasher. Although it had been designed earlier by Joel Houghton in 1850 and L.A. Alexander in the 1860s, neither of these did the job quite as well as Cochrane’s design that was the first to use water pressure as opposed to scrubbers. In 1893, she won the highest prize for the best mechanical construction, durability and adaptation to its line of work. Soon after this Cochrane began receiving orders from hotels and restaurants in Illinois leading to her factory business Gris-Cochrane in 1897. It wasn’t until the 1950s that the dishwasher became a household item. 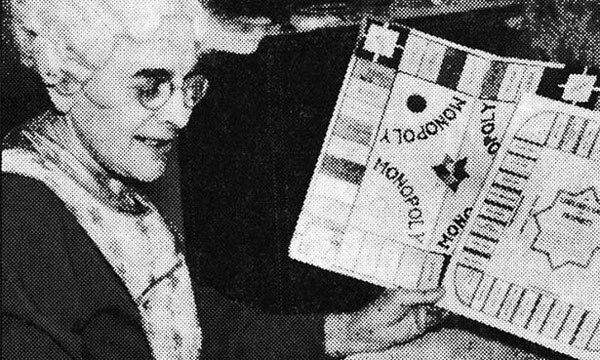 Responsible for one of the most legendary board games of all time, Elizabeth Marie invented ‘The Landlord’s Game’ or what we more commonly remember as Monopoly. The game was genius as Magie’s designed it in a way that directly mocked the unjust capitalist practices of land-grabbing and the downsides of living on rent. Although Magie received a patent for her hard work in 1904, her game was ripped off some 30 years later by Charles Darrow in 1934 who reinvented it as ‘Monopoly’ and sold it to the Parker Brothers. Luckily the Parker Brothers tracked down its original patent holder and paid Magie $500 for it. 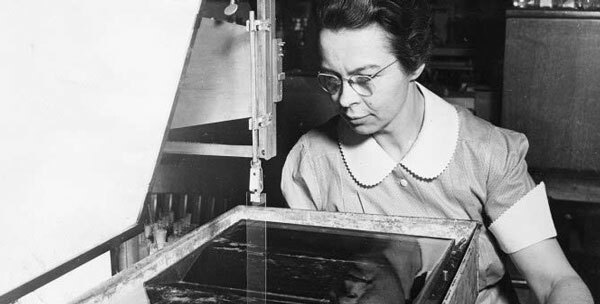 Known for her numerous contributions in the field of industrial chemistry, Katherine Blodgett is accredited for her invention of the non-reflecting or invisible glass. Being the first female scientist hired at General Electric, Blodgett figured out a way to transfer thin monomolecular coatings to glass and metals in 1935. The resultant effect was glass that excluded glare and distortion. This invisible glass was a beneficial device for metallurgists, chemists and physicists. It has also been used in picture frames, camera lenses, optics, microscopes, eyeglasses and the like. During the Second World War, Katherine invented smoke screens that saved many lives by protecting troops against exposure to toxic smoke. Solar-power pioneer and biophysicist, Maria Telkes teamed up with architect Eleanor Raymond to build the first ever home that was entirely heated by solar power in 1947. Telkes was a Hungarian scientist who invented the thermoelectric power generator to provide heating for Dover House in Scotland. She used Glauber’s salt, sodium salt from sulfuric acid in order to store heat in extreme winters. This enabled the Dover House to survive three winters before the system failed. 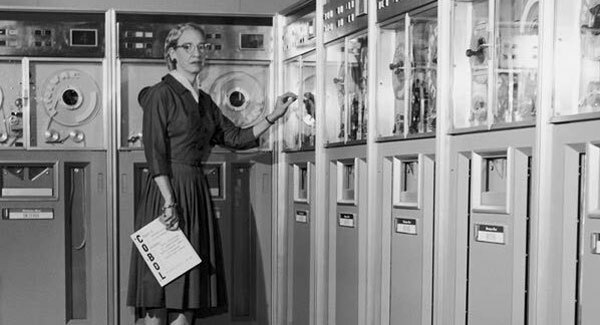 Dr. Grace Murray Hopper is an inspiration for women in the field of computer science to this day. She, along with Howard Aiken, invented Harvard’s Mark I computer in 1944. The computer was the size of a room and weighed five tons. Hopper played a pivotal role in compiling and translating written language into computer code and was part of the team that developed COBOL-the first modern, user-friendly programming language. She is also accredited for coining the terms ‘bug’ and ‘de-bug’ after discovering that an actual moth was the cause of trouble in her computer. 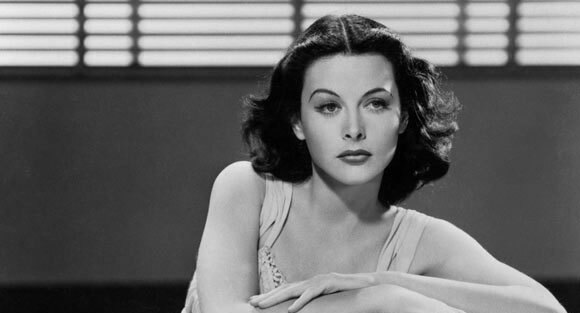 Although more famous as a world renowned Austrian actress and beauty icon, Lamarr proved to be more than just a pretty face. Her ‘Secret Communication System’ helped prevent classified messages from being intercepted by the enemy during World War II. Lamarr, along with her partner George Anthiel received a patent for their invention in 1941. The system employed radio-controlling torpedoes or frequency-hopping technology to work effectively and this laid the technological foundations for modern day Wi-fi and GPS.her further contributions to the ‘spread spectrum’ technology also facilitated the digital communications boom including the invention of cellular phones, fax machines and other wireless operations. She is included in the 20th century’s most important women inventors. One would not even imagine the possibility of a home surveillance device back in 1966. 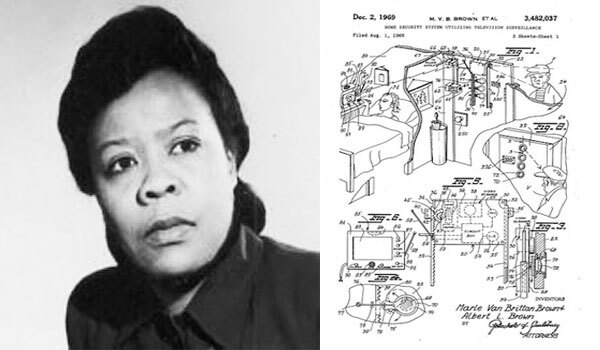 However, Marie Van Brittan Brown, disgruntled by the slow response of the police to calls for help in her neighbourhood in New York, invented and patented a closed-circuit television security system, along with her partner Albert Brown. Her invention laid the foundation for modern home security systems, crime prevention systems and traffic monitoring. The mechanism consisted of four peep holes and a camera that could be moved from one peephole to the other reflecting the camera’s images onto a monitor. Doors of the house could also be unlocked using an electrical switch. 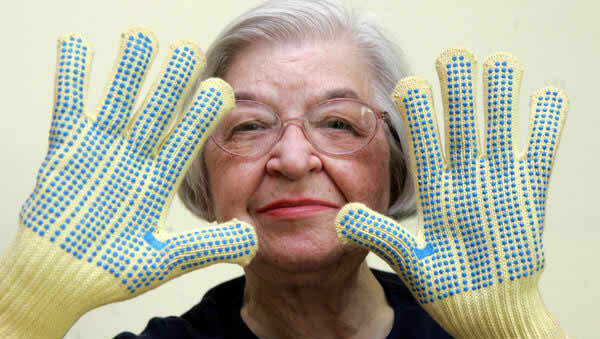 Invented almost by accident, Stephanie Kwolek’s super-strong Kevlar fiber ended up being five times stronger than steel and serving about 200 uses. The most famous of these was the bulletproof vest. Kwolek invented it while she was actually working on a lighter fiber for car tires, earning a patent in 1966. When Kwolek initially made her Hexamethylphosphoramide (HMPA) solution, it did not look like it would be able to do the trick. However, to everyone’s surprise, the mobile and extremely watery solution made excellent fibers which are now widely used for bulletproof vests that saved the lives of many police personnel over the years. The aramid fibers are applied in tires, brake linings, composite materials, boat hulls, flame-resistant clothing and the like. Touch tone telephone, fiber optic cables, solar cells, caller waiting, caller identification and portable fax- these are only some her inventions in telecommunications development. Dr. Shirley Jackson is accredited for much more. 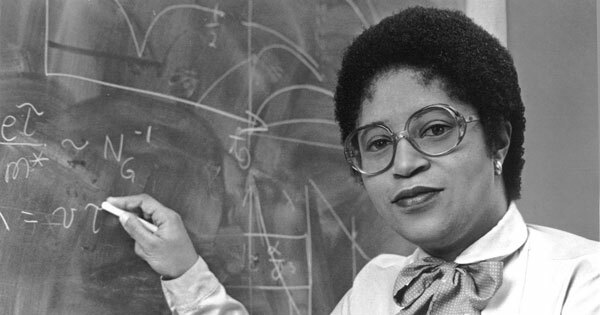 She was the first black woman to receive a Ph.D. from the Massachusetts Institute of Technology (MIT) as well as the first black woman to preside over a major technological institute, that is, Rensselaer Polytechnic Institute. Not much is known about the inventor herself but her invention speaks volumes for her genius mind. 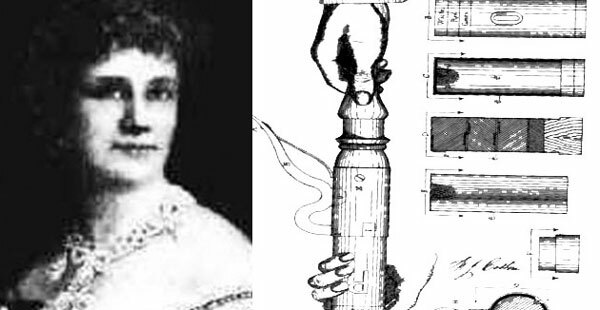 More commonly known as the Aquascope, Sarah Mather invented an underwater viewing device which was a combination telescope and lamp for submarines. It used a camphene lmp in a glass globe that would be sunk in water. Mather received her patent in 1845. This ‘Apparatus for Examining Objects Under the Surface of the Water’ permitted sea vessels to explore the depths of the ocean. In 1864, Mather improved the device to be used to detect Southern underwater warships. It is now used for reefs, secchi disks, checking boat moorings and other surveying related activities. It also proves as an effective educational tool to watch underwater plants and habitat in water bodies. Up until 1843, ice cream was produced in a pot freezer where it had to be mixed for several hours using a spoon. In this year, Nancy Johnson from Philadelphia transformed this method when she applied for patent for her hand-cranked ice-cream freezer. This artificial freezer consisted of a tub, lid, cylinder, dasher and crank. The crank was movable with a center paddle that was used to churn to ice-cream mix for 45 minutes – much lesser than the time it took previously. Shortly after Johnson’s initial invention, 70 improvements were made to it including the popular White Mountain brand that claims to sell thousands of such machines every year even though electric versions of ice-cream makers have been introduced since the last 50 years.